Elaine from Jamele Skin Centre and I recently came across a perplexing situation. She had a client with eczema on her body and had been given her Soothing Mist and EC Lotion B to treat it. This combined with an internal programme was giving her good results and her skin was tracking along nicely. The problem arose when she gave the client the Hypersensitive Regime for her face. 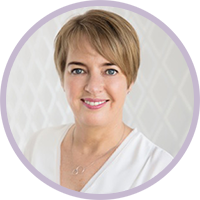 The client wasn’t experiencing any problems on her face but Elaine decided that this was the best approach given that the client was obviously sensitive and had also been using poor quality skin care on her face. After a week or so on the hypersensitive regime, the client started experiencing dryness and sensitivity on her face even though her body routine was going well. We thought it might have been the Lavender Facial Aromatic Oil so Elaine requested the client pop back in to the clinic and swap it for Avocado & Sesame Oil. When the client returned her Lavender Facial Oil, Elaine was surprised by how much she had used in just a few weeks. Simply soaking with her Rose Soaking Drops and then applying Avocado & Sesame Oil seemed to be doing the trick until a week later when her skin took a turn for the worst. This was very confusing and Elaine and I spent a good half an hour on the phone trying to solve the mystery. We reviewed the evidence again, looking for clues. When we thought about her excessive use of the Lavender Facial Oil, we wondered, what else she might be overusing? We were onto something. 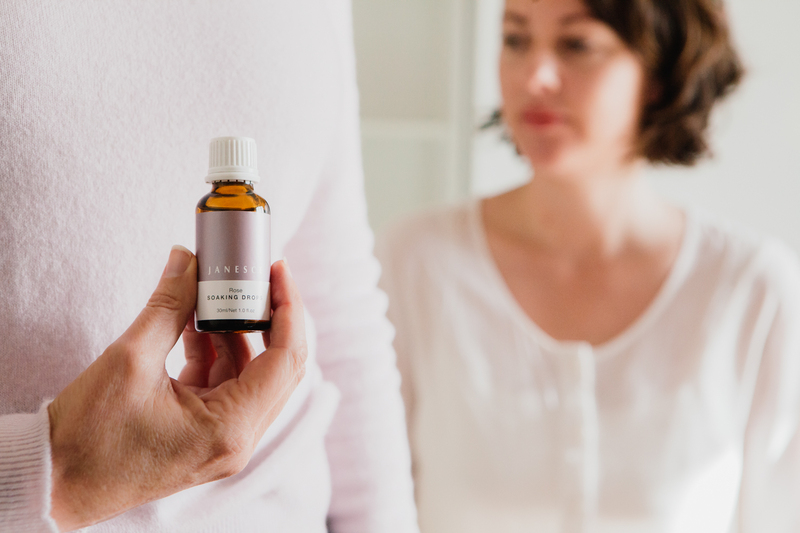 When we asked her some more questions we discovered that she was overusing her Rose Soaking Drops, using 8-10 drops each time! This was causing the mysterious dryness and sensitivity. 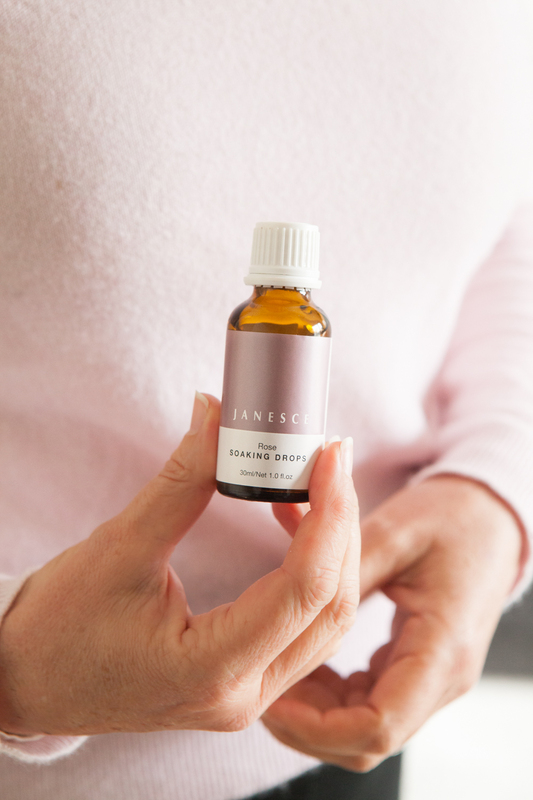 Remember, Janesce Soaking Drops are pure essential oils mixed with a coconut derivative to help them emulsify in the water. Only 2-3 drops should be used. So if you have have a client with unexplained sensitivity, this is a good case to remember. Sometimes client’s love the fragrance of the soaking drops so much that they add far too much to their soaking water. I’d love to hear some of your skincare detective stories. What hunches or clues have you followed that have led to ‘aha’ moments?